Nigerian logistics startup, Kobo360 has begun an Africa-wide expansion plan. According to reports by Disrupt Africa, Togo is the first country on the cards. Kobo360 is one of the biggest new African software business stories. Just wait for it. After raising $8M+ from IFC and blue-chip PE firms in 2018, I suspect they’re on to bigger and better this year. They launched in 2016. Blindingly fast success. A team of executives from Kobo360 recently visited Lome, Togo. The trip was more than just a market survey as the executives held meetings with Togolese government officials as well as other partners domicile in the country. “This is part of our expansion across Africa which has been in effect since 2018,” said Kobo360 co-founder Obi Ozor. 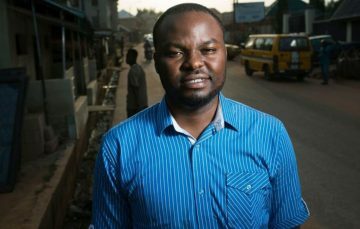 Nigerian logistics startup Kobo360 has launched operations in Togo as it begins its continent-wide expansion drive after securing over US$7 million in funding last year. https://t.co/UaCJKV91aJ enables pickup of packages, and track the driver until its final destination. It also appears the company has started recruitment for its yet to be launched Togo operations. According to reports, Kobo360’s executives conducted a series of interviews for potential employees during their trip. This suggests that the move may have been planned for a while. It doesn’t come as a surprise though. Launched in 2016, Kobo360 has always had plans for an Africa wide expansion. The logistics startup helps both individuals and SMEs schedule and deliver goods to both local and international locations. In July 2018, it raised around $1.3 million to scale its operations and this put it on its first path to expansion. By early December 2018, the 3-year-old startup finally got the requisite funding for expansion when it raised $6 million from an impressive roll call of investors. Notable among them are the World Bank’s International Finance Corporation (IFC) YCombinator and TLcom. Backed these behemoths, Kobo360 is well and truly poised to scale across the continent. Togo is the first country so far. However, the startup has plans to expand into Kenya and Ghana soon. One report suggests this could happen in a matter of weeks.